The debate of android devices vs the iPhone has been a long held one. It won’t be wrong to state that both kinds of devices have had their fair share of fan following, but if you are looking for a definitive answer regarding the one that is clearly a better choice, then you have landed on the right page. 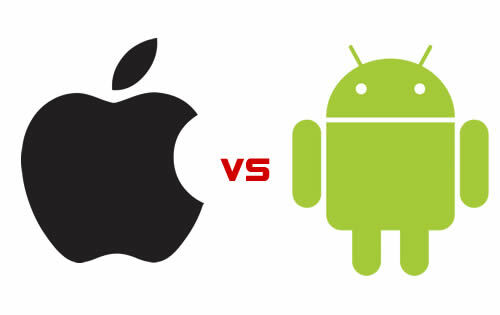 We have mentioned a few of the reasons why an android device is a far better option than iPhone. Without further ado, let’s take a closer look at these reasons in order to let you have a better idea. The first and the foremost benefit of choosing an android over iPhone is the huge range of options that you can avail. There are multiple different brands with customized or modified versions of android operating system that you can choose from. With iPhone, you are stuck with a single option with exactly the same operating system. So if you are looking for a huge variety to choose from, opting for android devices is going to be a commendable idea. This enables you to define the features that you must need in your phone and avail them at a price that you can conveniently afford as well. There is no argument over the fact that the android devices have a greater amount of customization to offer. There is a whole range of launchers that you can use on your smart phone which enable you to have a whole new look of the operating system. Such customizations enable you to adjust your phone in a fashion that suits best to your requirements. If you think about it, what’s there that you can’t optimize when it comes to an android device? You don’t like the keyboard? Go for a different one. You can find a third party application for just about anything and everything. It won’t be wrong to state that hardware comparison is what solidifies the claim of android devices being a better option as compared to iPhones. You can argue all you want about the operating system, but when it comes to hardware, the top-tier android devices are certainly better as compared to the iPhone. Be it the processor or the Ram, the screen size or the resolution, the camera or the wireless connectivity, android devices are remarkably better than Apple in all such aspects to say the least. Who doesn’t like to have a huge application store at his disposal that offers a range of applications and games with most of them being absolutely free of cost? You may be aware of the fact that there is a whole variety of applications that are free of cost for the android devices while you have to purchase them on Apple. Considering how useful a few of such applications are, opting for Android devices and having a bigger and better application store is going to be a commendable idea. It is indispensable to mention here that multitasking, while being offered by both of the aforementioned devices, is far more convenient in android devices as compared to the iPhone. All you have to do on an android device is launch the multitasking video and drag the applications that you would like to keep running at the same time. For instance, you are watching a video on youtube and would like to keep on texting with your friend in the meantime. Android devices have a solution for you, but what about iPhones? Is there an alternative? In the light of the information mentioned above, it won’t be wrong to state that choosing android devices over the Apple iPhone is going to be a wise decision to say the least. Rest assured, you won’t have to be disappointed of making this decision.